The Bowling Green Lions Club Champ Clark Heritage Festival car and truck show will be held at the Bowling Green Courthouse square on Saturday, Sept. 8, rain or shine. Registration will be from 9 a.m.-1 p.m. New for this year, the vehicles will not be judged and no awards will be presented however, everyone registering for the show will be eligible for $400 in random cash drawings to be given out at 3 p.m. Participants will have the opportunity to select a “people’s choice” winner who will receive $100 in cash. You must be present to win. In addition, all registered vehicles will receive a dash plaque featuring a 1951 Ford hot rod pickup built by Joe Akers from Eolia. For the past three plus years, Akers with assistance from his friend and neighbor, Kendall Cob, used their mechanical and welding skills along with a bit of red neck ingenuity and lots of advice from various mechanics and car buddies to built a really cool hot rod pickup in Joe’s garage in Eolia. The pickup is powered by a Ford 302 C.I. engine bored .40 over for 306 C.I.The engine features a Holley three deuces carburetor and is backed with a Ford AOD transmission and a posi-trac rear end with 4.11 gears. The cab has been chopped four inches and channeled with suicide doors. The door handles have been shaved and the truck features a custom built “32 Ford” grill. It has Ford model “A” tail lights. Layers of different color paint were applied by students at Pike-Lincoln Vo Tech Center auto body class. Joe and Mike “Wolfman” Baker then sanded through the various layers of paint to create a really neat patina look. 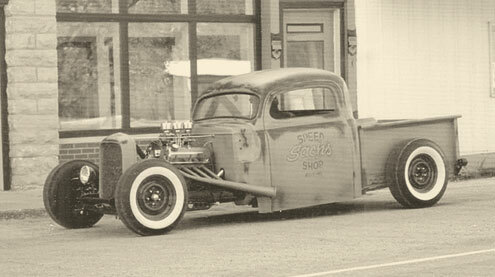 In memory of his father, Jim “Sach” Akers, Joe had the pickup lettered with “Sachs Speed Shop” and pinstriped by renowned pin striper, M.K. John from Montgomery City. The pickup was built to be driver and Joe’s co-pilot is often his daughter, Madison Akers. The Bowling Green Lions Club is sponsoring the car show with donations from many area businesses and individuals. Profits from the show are used for Lion’s Club projects within the community. The most convenient way to access the show will be to take Bus. Hwy. 61 through Bowling Green and turn onto Church Street (turn between Ol’ Tops Pawn Shop and Farm Bureau) and follow Church Street to the square. Car and truck owners are encouraged to bring the entire family as there will be crafts, a parade, antiques, quilt show, kid’s games, vintage tractors, food, and musical entertainment throughout the day. For additional information about the car show, contact Rich Wilkinson at 324-2233 (day) or 324-6693 (evening) or email at fordmustangnut@yahoo.com; Eric Gunn, 573-406-2270 evening, Jim Craig, 573-470-2554, or Mel Motley, 485-4100. 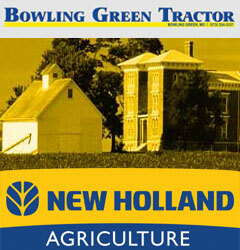 For general information about the festival go to www.bgchamber.org or contact the Bowling Green Chamber office at 324-3733.